Over the years of Hearthstone’s experience in dementia care, a number of innovative tools, programs and games have been devised to inspire and engage residents and participants while also enriching the range of choices available to care providers and staff. Hearthstone Institute training teams have access to all of the programs listed below, and many more. Several of these are integrated into our training programs and are available to our Organizational Partners. 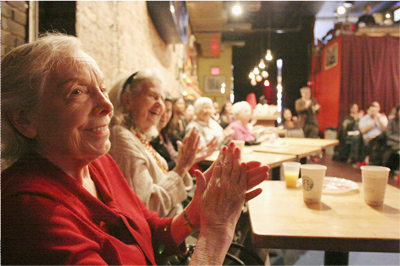 Scripted-IMPROV™ uses the theater arts and creativity to support joyful, meaningful and fulfilling lives for those with memory loss. This innovative program features drama (mini plays), props, music, dancing and role-playing to achieve positive clinical outcomes as well as bringing smiles, laughter and unexpected responses from those thought to be incapable of interacting at such levels. Scripted-IMPROV™ was developed by the Hearthstone Research Division as part of a three-year clinical trial funded by the National Institutes of Health/National Institute on Aging. The program has been tested successfully in New York City, Boston and Cleveland. Meet Me at the Movies (aka “Meet Me at the Coolidge”) is an enjoyable theater experience designed to stimulate and engage individuals experiencing memory loss. It promotes more meaningful interactions and a deeper understanding between those diagnosed, their care partners, family members and the communities in which they live. Funded by the National Endowment for the Arts, ‘Meet Me at the Movies’ is a uniquely interactive film experience. Short clips from classic films and TV shows are shown, followed by audience discussion and reminiscence, guided by a trained moderator. From classic Hollywood hits to foreign films, action-adventure movies to cult classics, people with memory loss are treated to showings of some of their favorite movies. Popcorn and drinks are complimentary! In follow-up clinical research, program participants demonstrated higher levels of engagement than a separate matched control group. 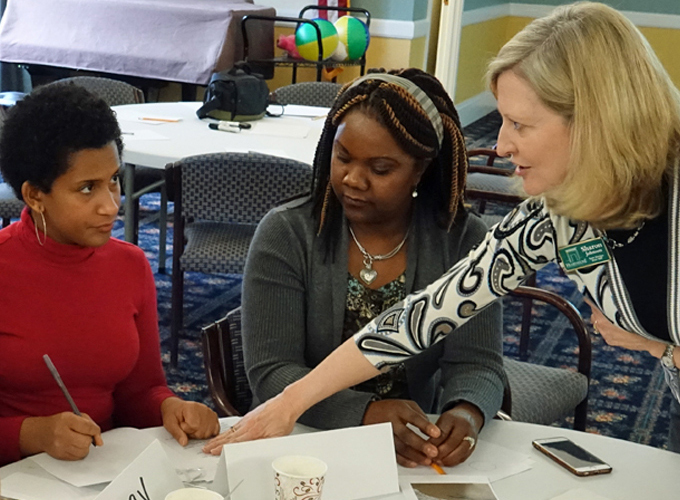 Care partners learn to lead question-and-answer sessions that engage both patients and family members, providing joy to both. Meet Me at the Movies demonstrates how film can be an effective form of treatment for people with Alzheimer’s disease and related dementias when used as a participatory programmed activity. It Takes a Village embraces the local community as a powerful way to help individuals personally facing Alzheimer’s and dementia—both care partners and persons on the dementia journey. Every community offers a rich variety of “engagement” opportunities often underused by the general public. How many of museums are full of visitors weekdays at 10:00AM? How many of symphony orchestras perform to sold-out audiences at every show? Every community cultural institution has excess capacity which, with carefully designed dementia-friendly programs, can easily serve their citizens living with dementia, as well as their care partners. Through the It Takes a Village program, fear of dementia and related stigmas can be reduced or alleviated. Meet Me at the Museum is a program specially designed for people with memory challenges. This innovative program draws on the support and collaboration of artists and cultural institutions as resources to share with, educate and inspire seniors with memory loss. The I’m Still Here® Foundation develops annual community-based programs for people living with Alzheimer’s, their families and care partners. 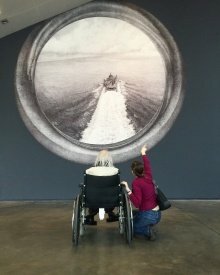 The Foundation has developed Alzheimer’s-specific cultural access programs with some of the world’s most renowned cultural institutions, including the Louvre in Paris, the Museum of Modern Art in New York City, the National Gallery of Australia, the Big Apple Circus and the Tribeca Film Institute. The Museum Partnership Program is a treatment for Alzheimer’s symptoms. Artistic experiences can significantly reduce certain psycho-behavioral symptoms often associated with dementia—anxiety, aggression, agitation and apathy. It also contributes to maintaining cognitive functioning, optimizing remaining capacities and utilizing areas of the brain that, without any effective form of artistic/emotional stimulation, have often gone unused for years. Observations and evaluations have shown improvement in verbal expression, ability to focus attention for longer periods, heightened mood, more engaging social interactions and a greater sense of self. The I’m Still Here® Foundation recruits and trains volunteer artists to perform and work side by side with people living with Alzheimer’s. 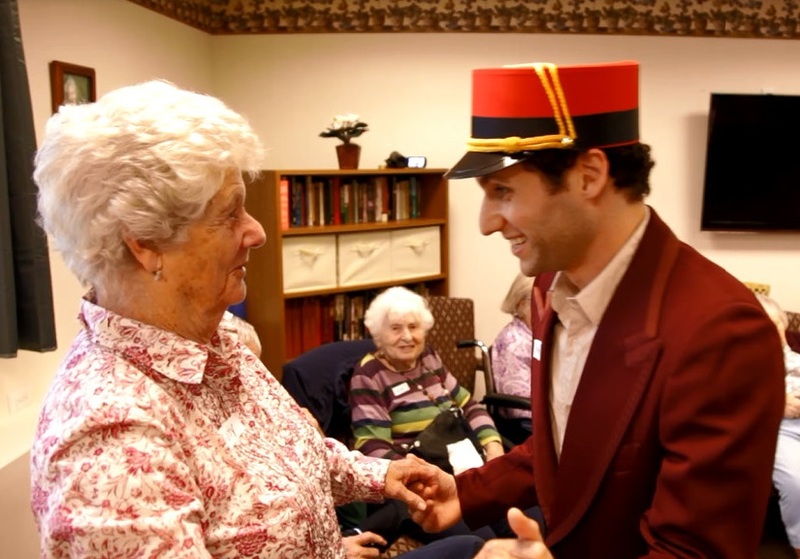 This hands-on program brings artists of all kinds, such as painters, singers, actors, comedians, and belly dancers, into small group contact with people living with Alzheimer’s, enabling strong emotional connections to take place. 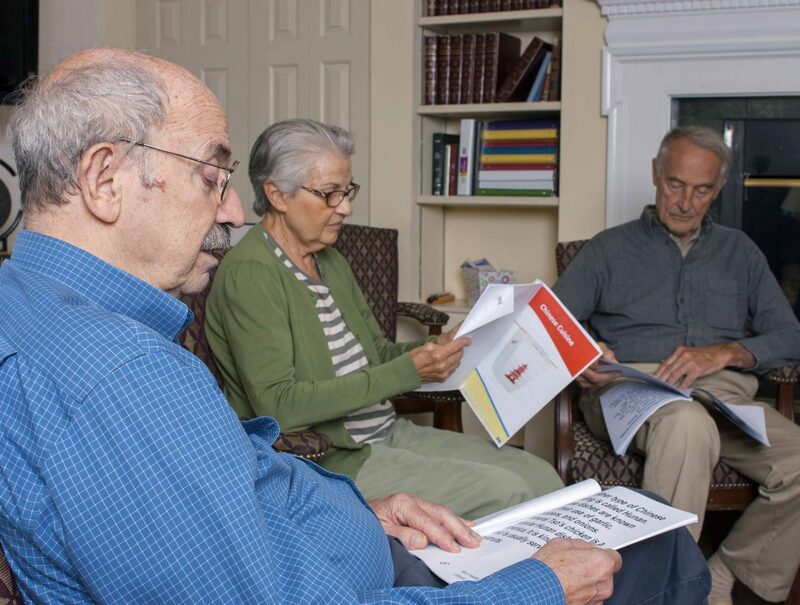 The Hearthside Book Club™ utilizes specialized reading materials specially adjusted for individuals with varying stages of dementia. Developed and tested through the implementation of a Small Business Innovation Research (SBIR) grant, our books have built-in questions, cues and other helpful features that help staff engage with participants and improve the quality of their interaction . Evidence-based research has shown that structured reading groups increase positive forms of engagement such as verbal and physical participation, and also decrease negative forms of engagement, such as oversleeping, staring into space and doing other tasks during an activity. Additionally, results demonstrate an increase in participant pleasure during Hearthside Book Club™ activities. The Hearthside Book Club™ includes many favorite topics such as: Alfred Hitchcock, James Cagney, Books that Became Movies, Rosie the Riveter, Tourism, Glenn Miller and more. You can view the full list of available topics here. Coming Soon! Hearthstone Research Division has been awarded a federal Small Business Innovation Research (SBIR) grant for our innovative HOME 4 CARE™ project. In this two-year study, we are developing and testing a mobile app, which will be designed to improve the quality of care provided by home health workers to persons with dementia. Look for more details about this exciting new program in the future. Improve your residents' lives and your market position today. © 2019 Hearthstone. All rights reserved. Photo credit to Dan Colucci and Michael Hagedorn.